Shortly after it announced the construction of a new Southeast Asia headquarters, Razer has unveiled its new country headquarters in Malaysia which will house over 280 employees. The investment strengthens Malaysia as Razer’s regional center of fintech innovation, e-sports excellence and talent development. As part of its e-sports initiatives, Razer will share its expertise in the field with the Malaysian gaming community. This includes coordinating with industry partners to drive gaming events in the country, bringing the gaming community together and looking to support Team Malaysia for esports at SEA Games 2019. Razer will also work with the government and industry partners to develop the next generation of tech talent in Malaysia. It will collaborate with institutes of higher learning, provide training and mentorship programs and offer exchange programs across the regional Razer offices. The world now demands a high level of innovative thinking and entrepreneurial mindsets, and Razer will help nurture the future technology leaders of Malaysia. 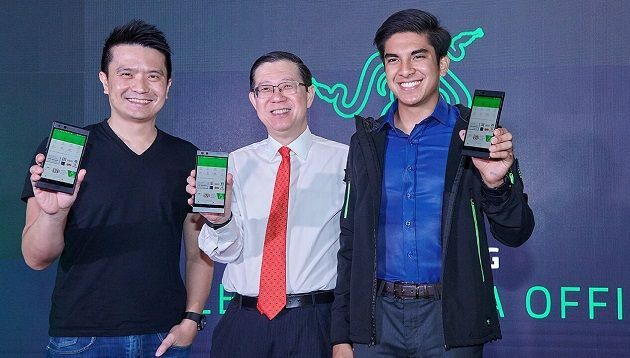 Last year, Razer launched its e-wallet app for youth and Millennials in Malaysia and claimed to have signed up 500,000 users in less than a week. This month, Razer Pay has been expanded with major new features such as in-app coupons, instant messaging, and an enhanced e-wallet experience. Razer has collaborated with Malaysia’s household brands to bring exciting offers to consumers. 7-Eleven is offering RM5 coupons and Kenny Rogers Roasters will offer RM10 coupons to Razer Pay users. U Mobile will also organize weekly contests with prizes such as the Razer Phone 2. Merchants operating in Bangsar South will also start accepting Razer Pay. These merchants will also begin to offer rewards programs enabled by Razer Pay, such as coupons and flash sales to help customers save time and money. The appointment comes 11 months after the internet giant posted the vacant role on Google's official recruitment site last 27 Febr.. Meanwhile, 96% of executives also said companies should be transparent about the data they collect on their customers and how they..